Stage one of the development includes a large format Bunning’s Warehouse, which is scheduled to open in mid-2016. Also joining the hardware store will be a new full range Kmart and popular discount supermarket ALDI. Vicinity Centres is proud to manage and take the lead in building and redeveloping Gateway Plaza Leopold. We have ensured the new enlarged centre will have the right mix of retail and services for residents now and into the future. With the addition of Bunning’s Warehouse, Gateway Plaza Leopold will be the key shopping destination on the Bellarine Peninsula. Gateway Plaza Leopold will also incorporate a new alfresco eating area and casual dining precinct, complementing the greatly expanded food and retail services that will be on offer. A Bunning’s Warehouse and a Kmart store will anchor the major expansion now under way at Leopold’s Gateway Plaza. 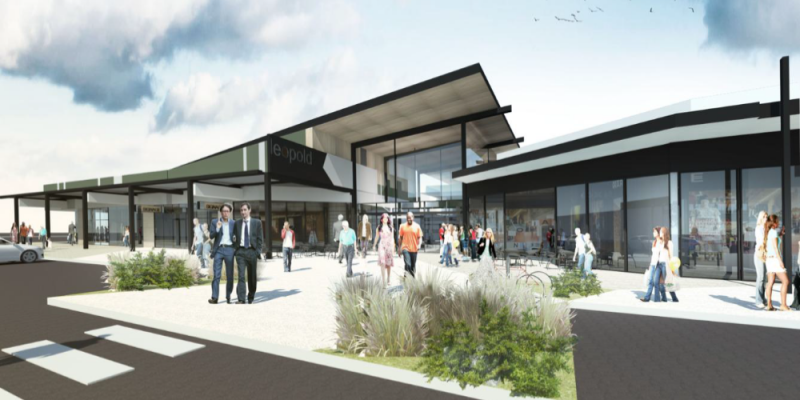 With the addition of Bunning’s Warehouse, Gateway Plaza Leopold will be the key shopping destination on the Bellarine Peninsula.